It all started from a single sketch. Sony has long been a key player in the consumer electronics market. Back in the days when the PC industry was just starting, Sony was already achieving big time – particularly in the entertainment business. If you haven’t been there, Sony was a pioneer of the Betamax, the CRT television, the Walkman, the 3.5 inch floppy disk, the compact disk, the DVD, the memory stick, the Blu-ray disk and yes, the PlayStation – all introduced as standards. When you think about the evolution of computers, smartphones and tablets, it’s pretty hard to imagine that Sony isn’t riding in with the trend. 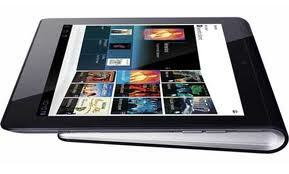 Following the release of Sony’s very own line of VAIO laptop computers and Xperia series smartphones, the mogul is now planning to invade the tablet industry with the introduction of the Sony Tablet S. The Sony Tablet S is truly a one of a kind Android tablet that has a lot of noteworthy features including a unique wedge-shaped design that has a resemblance of a newspaper being rolled-over for reading. Other head turning specs include the IR remote control for managing multiple devices and its integration with PlayStation. Sounds cool huh? 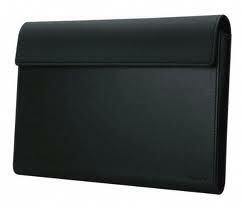 By the way, you can store the Sony Tablet S in the elegant and stylish Sony Tablet S Leather Carrying Case. Made from 100% pure high quality leather, the leather carrying case has a slim and a sleek design that easily slips into your bag. And boy you will love this case for its luxurious feel. But it’s not just about the design. 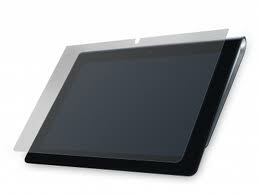 If you are like us who all love to optimize our stuff, then we also recommend the Targus Stylus for Sony Tablets. With this stylus, navigating your tablet device will be as easy as one, two and three. Flip that page, write down those notes (in the conventional style) and draw those charts with this ingenious tool. Don’t worry, this stylus is perfectly safe for your tablet. 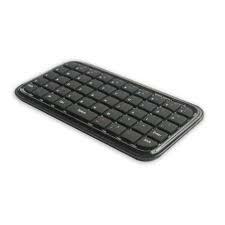 It works flawlessly and it can operate without the need for any software installation and power. It’s being sold at Sony for an amazing price of $14.99. Be sure to bookmark this page for updates.